As the cold weather continues to come in, I find myself eating more and more soup. 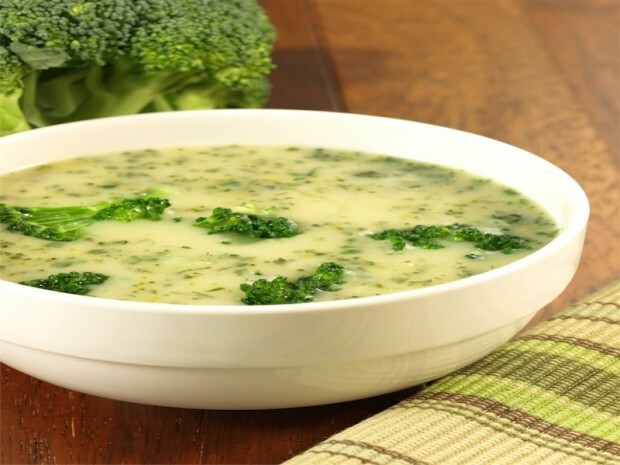 This broccoli soup with cheddar cheese is a great and warm soup that will fill you up and works for any protein and veggie day. It tastes delicious and seems much more indulgent than it really is. 1. Heat a large pot sprayed with cooking spray over medium heat add the broccoli, onion, garlic, mustard powder, cayenne, and about 1 tsp salt. Cook for about 5 minutes until the broccoli becomes fragrant. 2. Add 1 cup of chicken broth and the baking soda and bring to a simmer. Cook until the broccoli is soft and tender, about 20 minutes. 3. Add remaining broth broth and bring the soup to a simmer. Add the cheese and then blend using an immersion blender or carefully in a regular blender. Season with salt and pepper.